If you’re not familiar with Atlis Motor Vehicles, The Sleuth thinks you will be in the not-too-distant future. 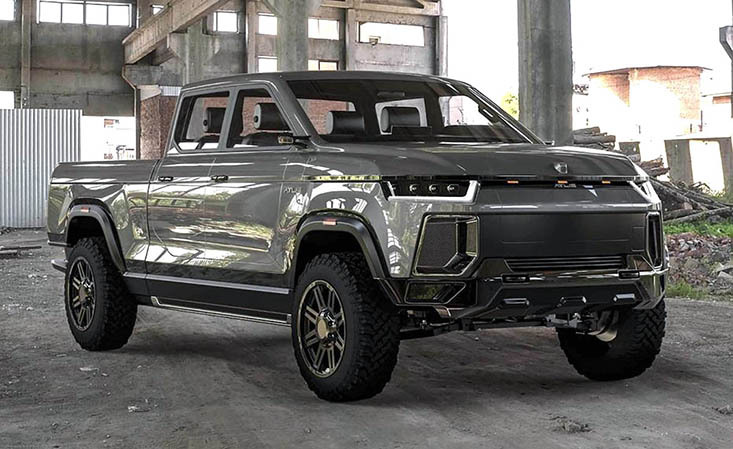 The Arizona-based company is planning an assault on General Motors, Ford and Fiat Chrysler’s highly profitable truck business with the all-electric Atlis XT. The company says the $45,000 (starting price) pickup will have a 500-mile maximum range, carry up to 5,000 pounds and tow up to 35,000 pounds. Unloaded, the Atlis will accelerate to 60 mph from rest in claimed five seconds and attain a top speed of 120 mph. The truck will apparently be built in the United States in 2020, although there’s no word as to where.